Did you know that dandelions have a purpose? They do more than dot your yard with pops of yellow. My husband creates delicious bottles of dandelion wine each spring. Years ago, your grandmother might have sent you out to gather dandelion greens for a salad. There is even more. Besides the delicious scent, dandelion infused oil has medicinal uses that can benefit anyone. You can leave it as an infused oil or use it to create salves and ointments. 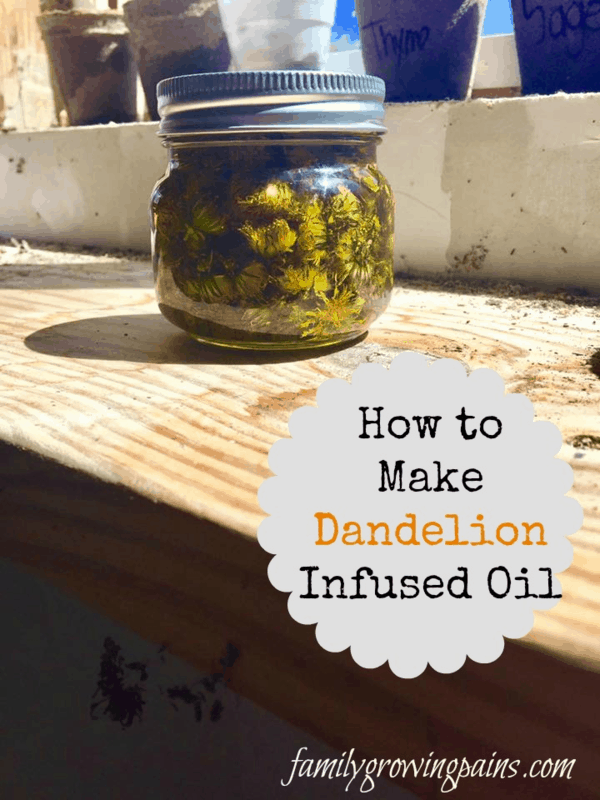 Lucky for you, making dandelion infused oil is very simple. It is a cold infusion process that uses the heat and light from the sun to extract the useful properties. One thing to note is that, unlike other infused oils, you only let this set for two weeks due to the high moisture content in the flowers. If you allow it to set longer, you increase the risk of spoilage and molding. Here is the simple process. Pick enough dandelions to fill up your selected jar. I use mason jars. You only want the flowers! Allow the dandelions to dry for a day or two. As they dry, they will shrivel up, taking less room in your jar. 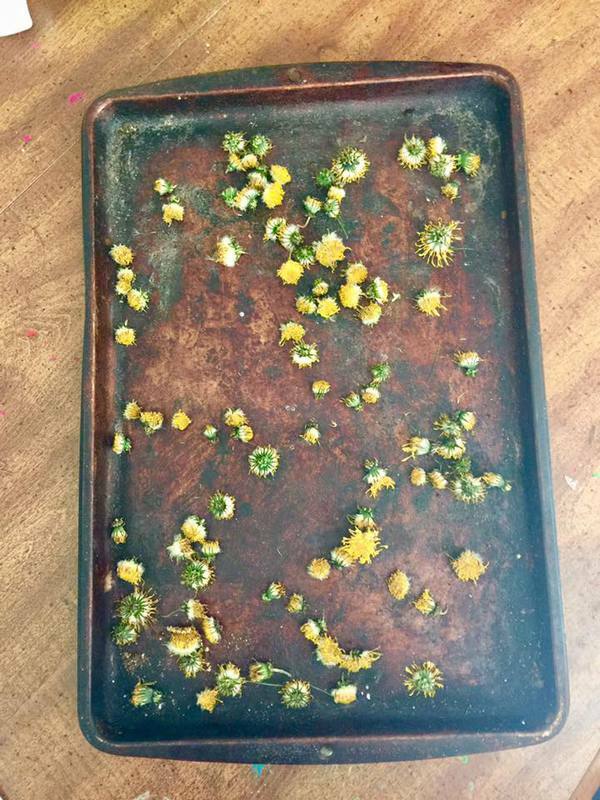 I collected a pint jar of dandelion flowers and only filled up a half pint once dried. Fill up the jar with olive oil. You want to submerge the dandelions fully. Poke with a spoon to eliminate any air bubbles. Put the lid on your jar and allow it to set for two weeks in a sunny spot. A windowsill works perfectly. It needs to steep to allow the properties to soak into the oil. Once the two weeks are up, strain out the oil with a coffee filter. Now, you can use the oil! Unlike other infused oils, this is not meant to be used for culinary purposes. The best way to apply it is topically. 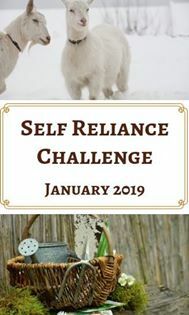 You can apply it directly to your skin or use it in homemade products. 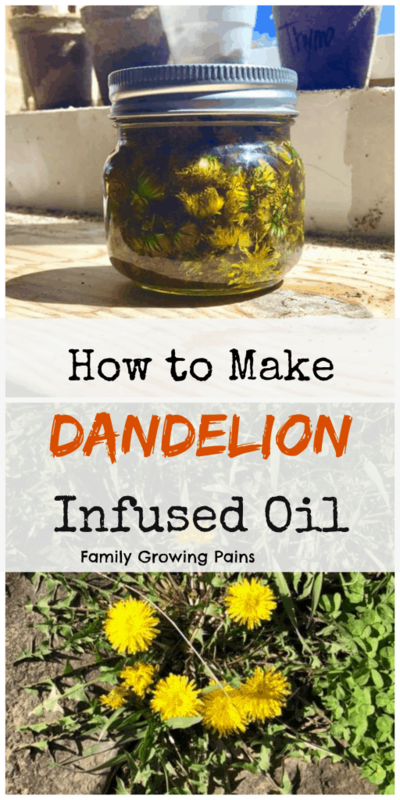 Have you ever used dandelion infused oil? 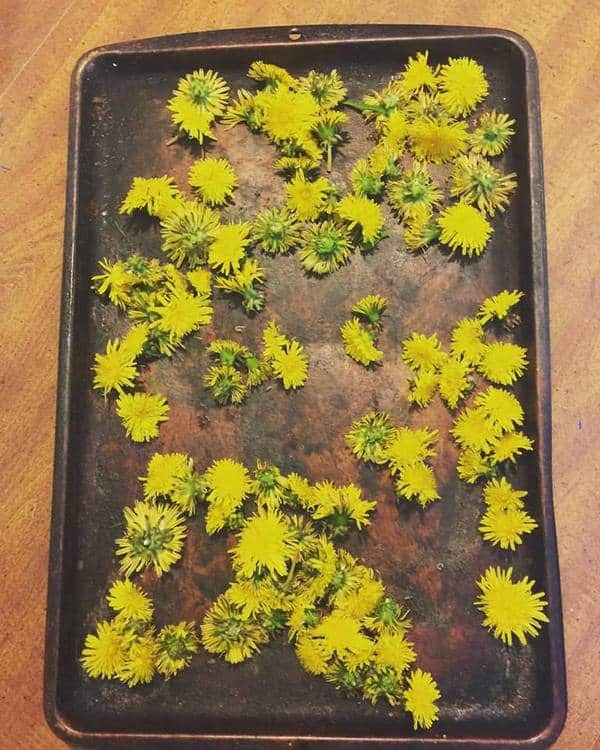 I would love to hear if you have tried dandelions for anything!